Using the correct point of sale display in a supermarket is crucial. Shoppers tend to know what they are looking for when entering a food store, so products must be marked and highlighted clearly for the customer to see. 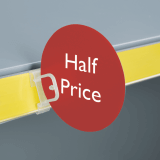 Supermarkets are also rife with opportunities to upsell, cross sell and increase overall basket value, so again it is imperative that your BOGOF, sale or daily deal promotions are clearly marked. 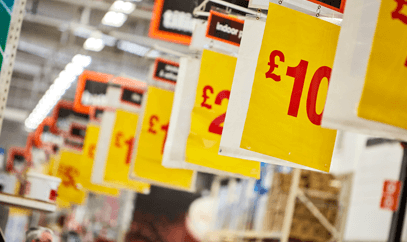 Whilst the shelving area is a key point for prices and promotions, people need to be made aware of offers before you even enter your store. Boost your supermarket sales with POS. Utilising your outside space or external displays is key. Introducing a Pavement Sign will let people know who, what and where you are. An A Board, Swing Board or Pavement Sign will help increase your footfall to your store, which in turn can increase your sales. Keep your double sided Pavement Sign up to date, eye catching and relevant so that even when people aren’t looking for a deal, they will spot yours. The other key external advertising space is your window display. This space should be maximised to make your store look as attractive as possible. 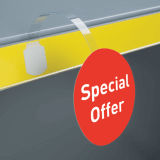 Self Cling or Adhesive Poster Holders are great for smaller supermarkets to showcase offers, store events or even open hours. Having a neat and tidy store will leave a good impression with your customers and encourage them to return, increasing your brand loyalty. 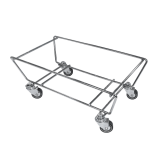 Don’t let yourself down by the time they get to your till with a messy basket storage area. 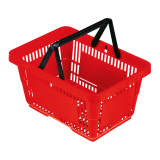 A Basket Holder is a simple yet effective way to ensure your store is kept in good order at all times. Your till is a key area for impulse buys. If you have the space, introduce a counter standing dump bin to fill with smaller low value items to help increase the basket value. Make all areas of your store clear with overhead hanging posters. This way, people know exactly where to go for the product or offer they are looking for. This will help create an enjoyable and easy shopping experience to keep customers returning to your supermarket. Suspended posters are also ideal for short sales, as they are easy to update and can be changed over regularly to suit your fast paced store. Having prices, offers and promotions displayed clearly is crucial in supermarkets. 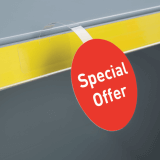 Customers are drawn in to well marked BOGOF, discounted or last chance offers, so have these displayed along your shelving. 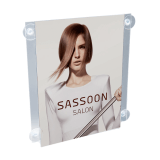 A Shelf Talker allows you to clearly display prices, promotions, offers or product information that your customer can see from a distance, in turn drawing them into the desired area of your store. 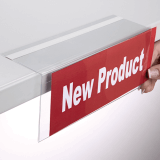 To make one particular product stand out, a Wobbler or Sign Holder is the perfect solution. 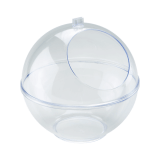 As well as having your prices organised, your products must also be neatly displayed. 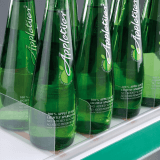 Shelf Dividers are a simple yet effective way of ensuring that your products are presented in a clear and professional manner.